As the enthusiasm behind New Year’s resolutions starts to dwindle and tax time puts personal finances atop Americans’ minds, completing the financial planning tasks that will help us accomplish our long-term financial goals should remain a priority. 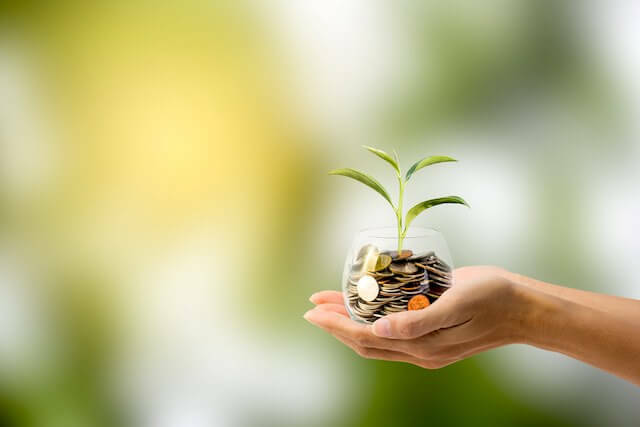 While contributing 5% to your TSP is a “must” in order to take advantage of the “free money” match that the government provides, most employees can and should be making larger contributions. Most financial professionals recommend that employees contribute between 10% and 15% of their salary to their retirement plans. Due to recent contributions updates, in 2019 employees under 50 can now contribute up to $19,000/year, and those over 50 are able to contribute $25,000/year to their TSP. Every dollar that you invest will receive preferential tax treatment, regardless of whether you choose an investment in the Roth or Traditional TSP option. Taking advantage of tax-free withdrawals and tax-deferred growth is always advantageous. Market volatility has become apparent to many federal employees in recent months. The values of the C Fund and S Fund fell by 9.03% and 10.7%, respectively, in December 2018, followed by a rebound that has effectively eliminated those losses in 2019. This volatility should serve as a catalyst for federal employees, who have been enjoying virtually constant positive market returns since the great recession, to review their portfolio. Are you comfortable with the amount of risk inherent in your investments? Could you stomach a sudden drop in your portfolio without panicking? Are you taking on a level of risk that is large enough to provide the long-term gains you need? Determining the exact allocation of equities and debt is a deeply personal decision that, in many cases, requires the assistance of a financial professional. As a general rule, you are probably not taking on enough risk if all of your money is in the G fund, and you may be taking on too much risk if all of your money is solely in any combination of the C, I, and S Funds. Everyone should review their portfolio at least once a year to ensure that their funds are properly allocated to meet their needs. Major life changes such as buying a home, having kids, getting married, or changing jobs can precipitate a need to update all of your insurance. Some of your coverage may change automatically to meet your needs, for example your CSRS or FERS retirement disability does automatically increase with your salary. Other insurance may need to be monitored more closely. If you are under the age of 45, your Federal Employee Life Insurance (FEGLI) program will actually erode your life insurance benefit away as the Basic coverage multiplier is reduced between age 35 and age 45. This makes reviewing all of your insurance needs following a major life event, including a thorough review of your life insurance requirements, vital. During this review, you should pay close attention to not only the amount of coverage, but also to its type and length as well. Your goal should not be having the most expensive insurance, but rather acquiring and maintaining the coverage that properly protects your family for the appropriate amount of time, at the best price. Lastly, while it might seem trivial, you should review your Leave and Earnings Statement, Social Security Statement, and beneficiaries on a regular basis. As you likely know, your Pension and Social Security benefits are based on your income, the number of years that you have paid into the system, and your age. Finding and fixing any inaccuracies now is far easier and less stressful than trying to correct them when you file your claim. In addition, it’s important to keep your desired beneficiaries in mind if your family structure changes, for example through a new birth, marriage, or divorce. Changing beneficiaries is an easy and straightforward process to complete, but it’s often overlooked. At GEBA Wealth Management, we know that the lives of federal employees are busy and only getting busier. As such, we urge you to take the time today to update your financial checklist and ensure that you are prepared for both your and your loved ones’ financial future. Greg Klingler, CFP, ChFEBC, is Director of Wealth Management for the Government Employees’ Benefit Association (GEBA). Greg has worked exclusively with State and Federal employees since 2003 and specializes in retirement planning using pensions, survivor pensions, employer sponsored insurance, and retirement plans as well as portfolio analysis, estate planning and college planning. © 2019 Greg Klingler. All rights reserved. This article may not be reproduced without express written consent from Greg Klingler. « Would Replacing the Dollar Bill with a Coin Save the Government Money?